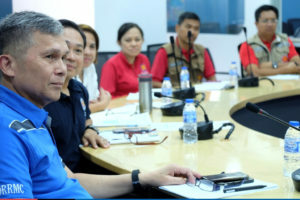 Manila, 24 September 2018 – The Government of the Philippines has welcomed ASEAN’s assistance for the typhoon-affected communities. Typhoon-Mangkhut (Ompong) made landfall in Cagayan Province on 15 September 2018. To date, over 2.1 million individuals have been affected by the strongest typhoon of the year which affected the livelihood of the agricultural communities and damaged 117,737 houses. Mangkhut also led to 23 casualties and a series of secondary hazards, such as flooding and landslides. 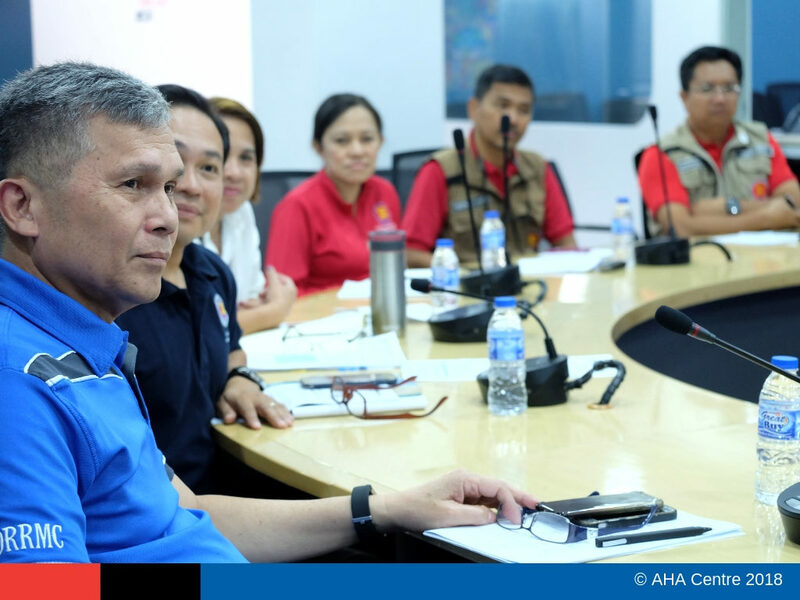 The Philippines national authorities trust the AHA Centre to operationalise ASEAN’s solidarity through provision of relief items comprised of 30 tonnes of rice, four generator sets, and 2,000 rolls of tarpaulins – worth of USD276,909. 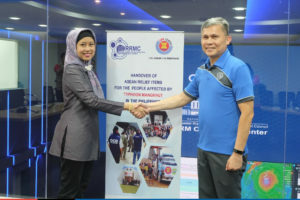 Furthermore, the Centre has also facilitated the mobilisation of ASEAN Emergency Response and Assessment Team (ERAT) to provide information management support to the Philippines’ National Disaster Risk Reduction and Management Council (NDRRMC). 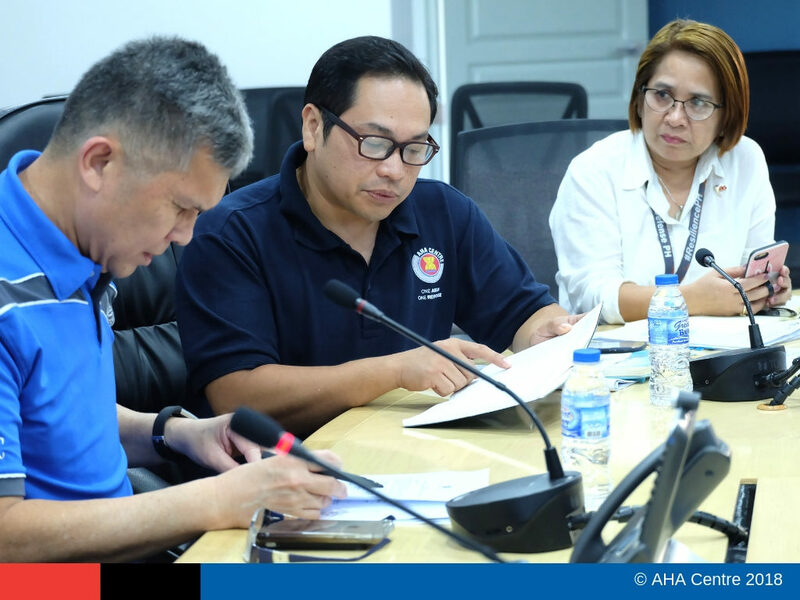 Since 15 September, the AHA Centre has also deployed its In-Country Liaison Team to establish direct communication with NDRRMC in Manila and in affected areas, and to facilitate ASEAN’s assistance. The relief items will benefit 20,000 households or equal to 92,000 displaced people in Region I, II, III, and CAR. 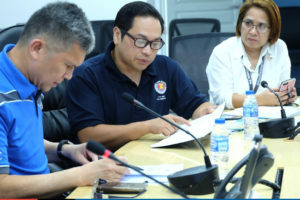 Undersecretary Ricardo B. Jalad, the Executive Director of NDRRMC and the Administrator of the Philippines’ Office of Civil Defense, mentioned that the Government of the Philippines has increased their disaster-alert level since the beginning of the southwest monsoon which caused flooding in northern ASEAN region in late July 2018. He further explained that the destination of ASEAN relief items are four regions which have declared state of calamity. “I would like to thank and express my deep gratitude to the AHA Centre for facilitating this assistance”, he said during the handover meeting this morning. The Philippines is one of the most disaster-prone Member States of ASEAN with extensive experience in responding to disasters, including Mindanao earthquake in 1976, Mount Pinatubo Eruption in 1991, Super Typhoon Megi in 2010, Super Typhoon Haiyan in 2013, and Super Typhoon Haima in 2016. Only one week after Typhoon Mangkhut or locally known as Ompong lashed the archipelagic country, a new tropical storm, namely Trami (Paeng), swirls under the radar of NDRRMC as well as the AHA Centre’s. Both agencies and other partners continue to monitor its movement. In total, between July 2012 – September 2018, the Philippines has recorded 18 lethal typhoons, whereas the ASEAN region has recorded 1,470 natural calamities. Southeast Asia’s vulnerability towards natural disasters at the same time has also led to collective resilience that is echoed by Ms. Adelina Kamal, Executive Director of the AHA Centre, “Disaster management in ASEAN has evolved as the region continuously faced catastrophic events in the past two decades, such as Indian Ocean Tsunami (2004), Cyclone Nargis (2008), and Typhoon Haiyan (2013). Many national disaster management agencies as well as disaster laws and regulations in the region have been put in place, learning from these unfortunate events. Today, we have an established network of disaster management organisations that adopt a regional mechanism to enable ASEAN to help ASEAN through the AHA Centre in the face of a catastrophe. Disasters may have hit our region from time to time, but above all, these unfortunate events have also advanced our understanding of the risks, expanded our preparedness to save lives, and bound us together under the spirit of One ASEAN One Response”. In view of preparedness measures, the AHA Centre has developed a manual, titled the ASEAN Joint Disaster Response Plan or AJDRP, which outlines three large-scale scenarios that might take place in Indonesia, Myanmar, and the Philippines. The identified risks are regularly tested through a series of simulation exercises – upon which, evaluation is made to improve regional readiness. The AHA Centre also manages the regional emergency stockpile in Subang, Malaysia, while establishing two additional warehouses in the Philippines and Thailand – due in early 2019. The AHA Centre is an inter-governmental organisation established by ten (10) ASEAN Member States on 17 November 2011 with the aim to facilitate cooperation and coordination amongst ASEAN Member States and with relevant United Nations and international organisations in promoting regional collaboration in disaster management. The AHA Centre is based in Jakarta, Indonesia. 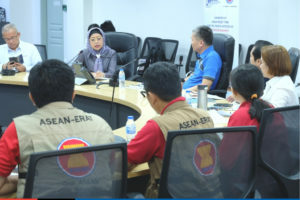 Through the support of the Japan-ASEAN Integration Fund or JAIF, the AHA Centre is managing the Disaster Emergency Logistics System of ASEAN or DELSA to enable rapid mobilisation of ASEAN relief items from within and for the ASEAN Member States.